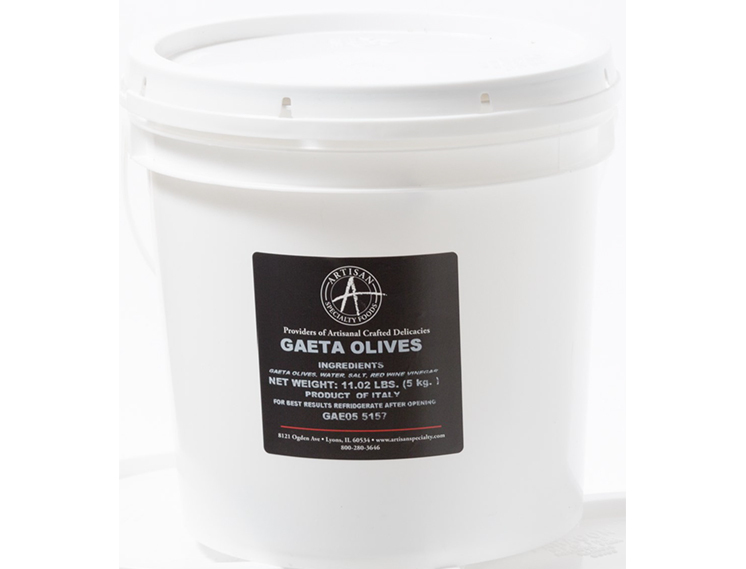 Gaeta are small, black Italian olives with a meaty intense flavor. Gaeta olives may be brine or salt cured. The olive is used as an appetizer, in salads or chopped and used in a tapenade.